Growing up in Central Illinois, I’d taken the wind for granted until David Foster Wallace‘s essay “Derivative Sport in Tornado Alley.” It was the late author’s long, funny claim that his junior-tennis wins really came from his reading the gusts across paper-flat Midwestern fields. 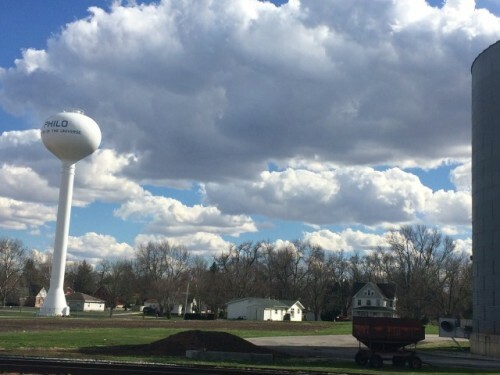 Running into the country one day last spring outside my hometown of Chenoa, I clocked a 10-minute mile on the way out and a 7-minute one on the way back. With our roads being in perfect square-mile grids, I knew I had the distances precise. Wallace was onto something, I realized. Or at least I had a new scapegoat for my failure to break any Prairie Central High School track records. I’d become a travel writer instead. And so a story idea whipped through my head: this quirky-genius, wild-maximalist, yet somehow sincere-moralist of a writer was about to be the subject of a movie (Sundance darling “The End of the Tour”), and his thousand-page masterwork “Infinite Jest” would be out in a 20th-anniversary edition in 2016. Could I sell national travelers on visiting Wallace’s Central Illinois? Game for this story, the New York Times sent me back earlier this month to revisit the places that shaped Wallace: Scruffy used-bookstore Babbitt’s Books and the straightforward Coffeehouse & Deli in uptown Normal. 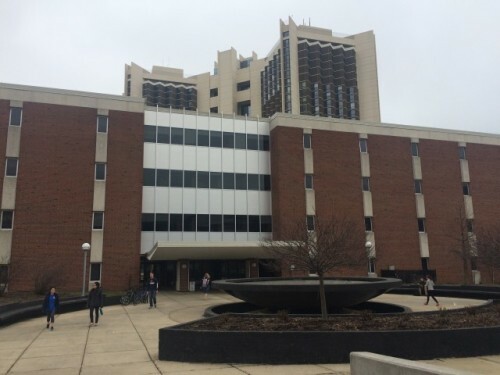 The acres of neoclassical buildings at the U of I. And of course, the land and sometimes cow-perfumed wind of my native McLean County, one of the two most fertile counties in the world. I also breezed into Philo, the town of 1,500 where Wallace claimed to be from in his tornado-alley essay. He’d actually grown up in more urbane Urbana, but his old tennis partner John Flygare gave me a clue as to why he’d thought the windswept outpost would make a better literary hometown. Driving past the town of 1,500 on their way to tournaments, Flygare said, the teammates used to joke that while Urbana was in the middle of nowhere, Philo was even further into the abyss. The town had long since ripped out its old tennis courts (which Wallace may or may not have played on anyway). 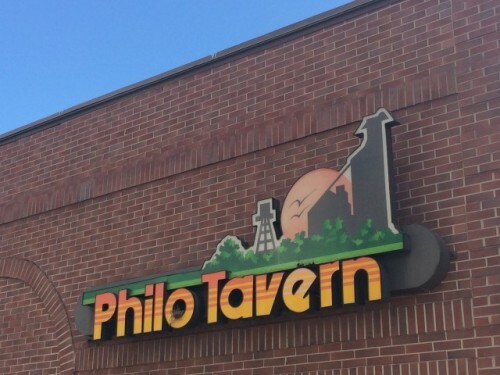 But place still endears itself to visitors like me with the bold claim on its water tower: “Philo: The Center of the Universe.” I stopped in at the Philo Tavern, whose logo showed a silhouette of the city skyline, the skyline being mostly grain elevator. The bartender still had no idea who Wallace was.